Be lured into THE AFFAIR, a provocative original series that explores the psychological effects of an erotically charged betrayal. No marriage is beyond temptation, and there is no refuting the connection set in motion when Noah and Alison meet by chance. What follows is far more than an intimate portrait; it’s a unique and thrilling narrative that unravels the dangerous truth layer by layer. 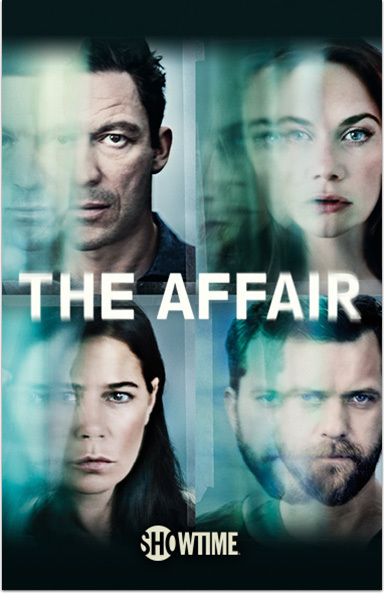 The Affair © Showtime Networks Inc. All rights reserved. SHOWTIME and related marks are trademarks of Showtime Networks Inc., a CBS company. You must be a subscriber of SHOWTIME to receive SHOWTIME ON DEMAND.